Wow. 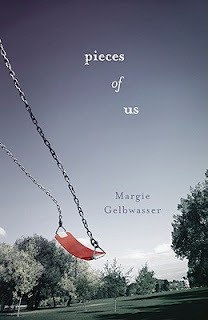 Pieces Of Us was an emotional hurricane of a book that despite all the anger and frustration I felt, I just couldn't put down. I have to hand it to Gelbwasser, she had me from the first chapter. Even when I knew it was not gonna end well, I had to know, find out for myself. Like a car crush, I just couldn't look away. As I was reading I found myself feeling agitated, frustrated, angry and unbelievably sad that I couldn't do anything about Alex, I couldn't save Katie. I put the book down, tried to do other stuff to get my mind off it, but nothing would work. It was always about Alex,Katie,Julie and Kyle. Each one of these kids was abused mentally or physically or both. Katie by her classmates, Julie by her insufferable, to put it lightly, mother, along with her own suffocating jealousy, Alex by his mom's boyfriends and dad's suicide and Kyle by his brother's dramatic character change. In my opinion, Kyle was the most likeable one, the originally "good" one. I liked how his chapters were in second person, like some faraway observant was documenting his life. like he couldn't trust himself to utter "I" for fear of realizing that all this was actually happening to him. The character I felt the most animosity towards was first Alex and then Julie. However, as my anger towards their actions grew bigger and bigger, I realised that their behavior mostly stems from traumas of an awful childhood. Was that it though, I still wonder. When does psychological baggage stop and free will begin? How much of their bad behavior is justified? Can we all pin treating other people badly to childhood traumas and by doing that, can we automatically wash our hands of everything we do and never suffer any consequences? That's why in the end, I don't know if I felt sorry about those two. I feel like an awful person saying it but especially in Julie's case, she kinda chose to go down that path, regardless of whatever problems she had with her sister and her mom in the past. She craved for it, it seemed to me. She wanted it from the very beginning. She chose to bury her head in the sand as far as the Katie situation was concerned, telling herself that she is much stronger than her sister and that she can handle it. I really wanted to see how she and Alex ended up (no wonder they were the only ones who stayed to watch the chicken killings every year - chlling scenes, by the way! ), but the ending was a bit abrupt and I guess we'll never know. I didn't like the ending at first, but in retrospect I am grateful to Gelbwasser for not prolonging their suffering and misery, or mine. *****I had actually written half of this review when a GR friend informed me that people want Pieces Of Us banned because it has a blue cover and not a red one. Oh, yes. 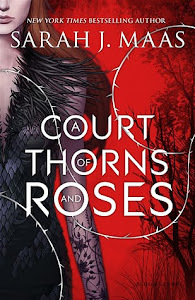 Because it has a lot of sexual content for a YA novel. I knew it was something ridiculous like that. Just when I thought I have finally understood people, they always surprise me and never in a good way. I will not try to educate people or make them less ignorant. They should know however, that Pieces of Us, apart from a YA book, it is also Realistic Fiction. Realistic Fiction=really happening. If you think these things are completely out of this world and don't happen, you're delusional, to say the least. What I am trying to say is that this is 2012 and whether you like it or not things change and the world goes forward, not backwards. Shocking, I know. It's called progress, deal with it. PS. If Forbidden by Tabitha Suzuma is considered YA, then damn if Pieces Of Us isn't as well! !